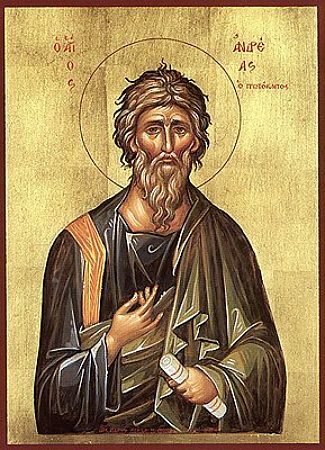 Scotland's national holiday is held on the feast day of its patron saint (tradition tells us that Saint Andrew was martyred in Patras on 30 November). Saint Andrew's Day is also a flag day: all Scottish Government buildings lower the Union Jack and raise the Saltire. If a building has two poles, the Union Jack is also flown. This is a recent development: prior to 2002, the Scottish Government observed the UK Government's flag days and only flew the Union Jack on St. Andrew's Day. Regulations were updated after Members of the Scottish Parliament complained that Scotland was the only country in the world that could not fly its national flag on its national day. 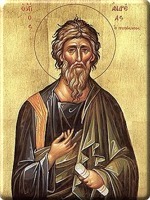 According to old custom, St. Andrew's Day was also an auspicious occasion for marriage. Single girls would pray for husbands around midnight on the eve of St. Andrew's Day. After praying, the girl would throw her shoe at the front door. If the toe pointed toward the exit when it hit, she would be wed within a year. Another custom dictated that single girls peel apples without breaking the skin and throw the peel over their shoulders. It was said that a peel that landed in the form of a letter was indicative of the name of the girl's future groom. Today, Scots people celebrate with music, dance, parades, and story-telling. Festivities often stretch over the weekend or, in the case of the town of St. Andrew's, Fife, last the entire week! In 2008, Saint Andrew's Presbyterian Church in Windsor held its first St. Andrew's day celebration with a luncheon consisting of traditional Scottish fare: meat pies, neeps and tatties, and Christmas pudding with rum sauce. The food of old custom, singed sheep's head, was not served.